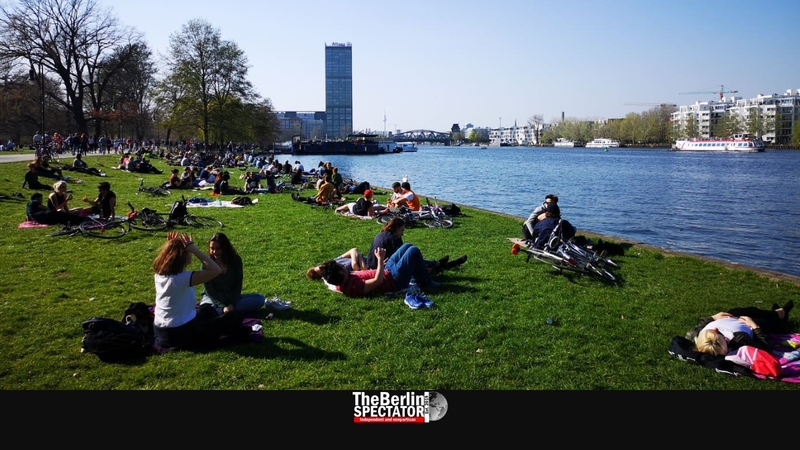 In Berlin, hundreds of thousands of residents and tourists got their first real spring weekend. The buds were sprouting in the city’s numerous parks and gardens, as temperatures climbed above 20 degrees Centigrade (68 degrees Fahrenheit). Once t-shirt weather had it the city, people took off their jackets. 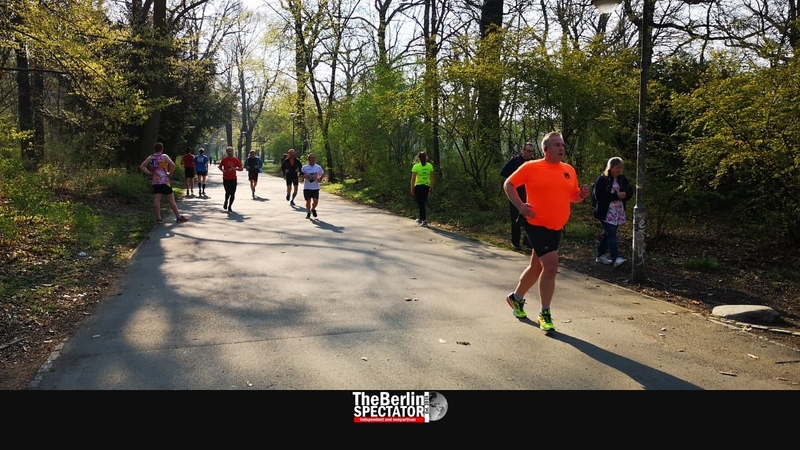 The many drug dealers, who populate Berlin’s huge Hasenheide park between the Neukölln and Kreuzberg boroughs on a daily basis, had not arrived yet when dozens of people participated in the ‘Park Run’ in the morning. Many English-speaking expats were part of the fun. At the same park, the most exotic flowers showed their beauty. Joggers and dog owners seemed to be the only species present in Hasenheide park at this relatively early hour. A few hundred meters further south, more Berliners and visitors inspected Tempelhof Airport, which has not seen aircraft landing or taking off in 11 years. On its two runways, bicyclists and inline skaters raced back and forth. Nobody took off though, since the tower did not give anyone take-off clearances. On the northern end of the airfield, families of refugees accommodated in containers turned into housing units came outside, where their children had already started chasing each other on bikes. To refugees and other migrants in Germany, the winters can be frustrating. A warm and sunny day like yesterday must have been a relief to those who are not used to norther European weather. Towards the city center, tourists walked around in pairs and groups. Most of them badly needed those selfies in front of any attraction they found. 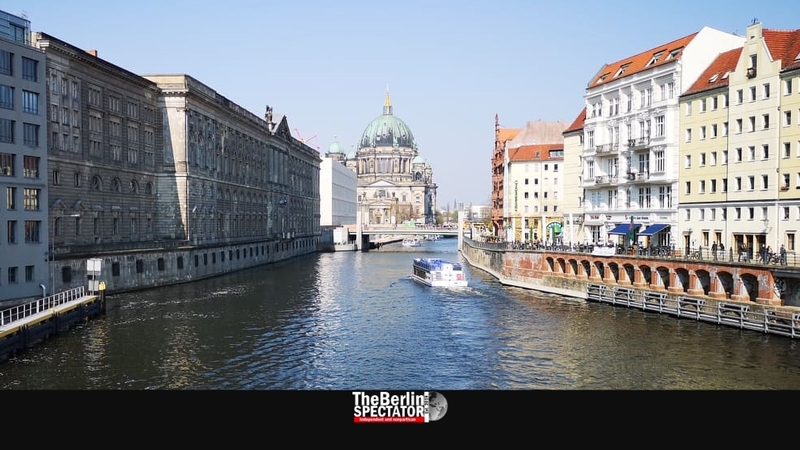 One of them was Mühlendamm bridge, located close to Alexanderplatz, which provided nice views at ships passing by. At Alexanderplatz itself, some 20,000 people staged a protest against high rents and Berlin’s chronic housing shortage. Another few kilometers north, at Kollwitzplatz in the posh Prenzlauer Berg borough, thousands visited the Saturday market, where street food, delicious cheeses, hats, politically correct perfumes and many other items were offered. “Eeeeek, eeeek.” This is what peacocks on Berlin’s Pfaueninsel (‘Peacock Island’) had to say on Saturday. The males showed off their beautiful feathers to human visitors, while the females hid in the bushes. The ferry between the ‘Pfaueninsel’ bus stop and the actual island was crammed. Throughout the city of Berlin, people filled beer gardens and restaurants with outside tables. Food from all over the planet was offered. The Vietnamese pork was just as delicious as the Tacos al Pastor offered at ‘Big Sur’ in the Kreuzberg borough. On Sunday morning, the big flea market at Maybachufer in Kreuzberg finally reopened after its long winter break. At countless stands, people sold used books, CDs, records, dishes, clothes and other items they did not want anymore. Others offered self-made jewellery and street food. The promenade along the Spree river at Treptower Park and Spreepark must have been the most crowded spot in Berlin this weekend. Thousands took long walks, hundreds enjoyed the day lying on the grass or sitting in beer gardens. The boat rental at the ‘Island of Youth’ (Insel der Jugend) was very busy.